Site Work is one of our specialties. Our team works to understand your site, maximize the usage space and provide the best possible aesthetics within budget and time. This project consists of a total of 600 units in a planned development community. The challenge was getting the allotted amount of units on the site and using materials that would age well. The finished product was amazing. 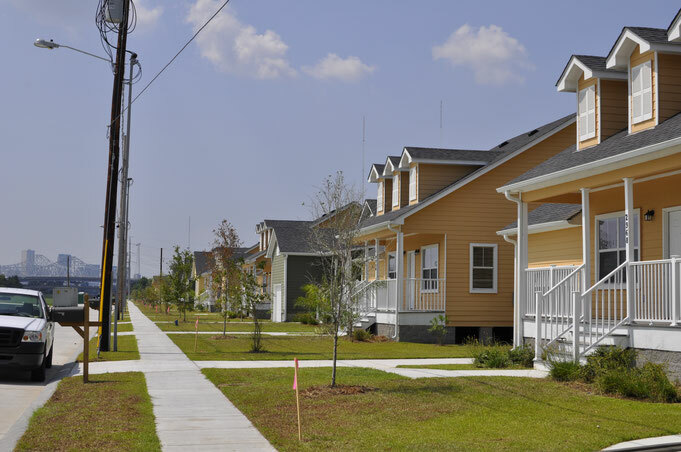 We were able to support our client in providing housing for over 600 families in the city of New Orleans, after the storm demolished our city.